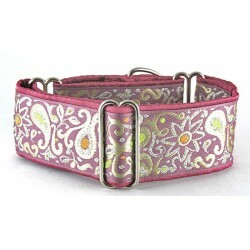 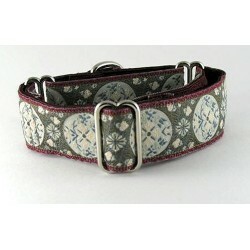 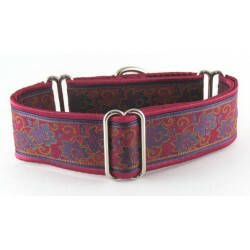 For the globe trotting pooch, these collars are smart, sophisticated and stylish. 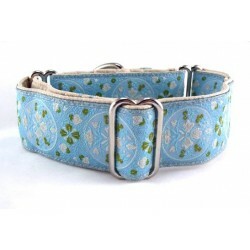 Martingale and buckle styles. 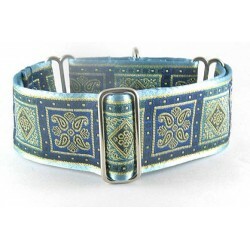 Globe Trotting There are 69 products. 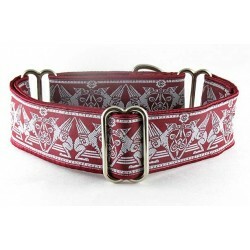 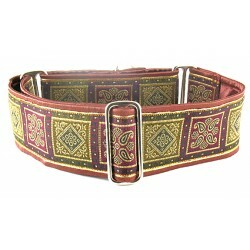 Bevan Square Gold/wine, a martingale or snap-release buckle dog collar composed of a Renaissance Box Design. 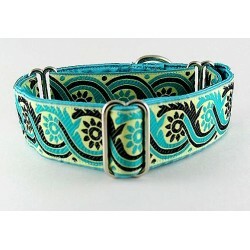 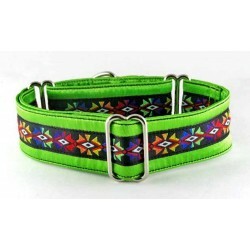 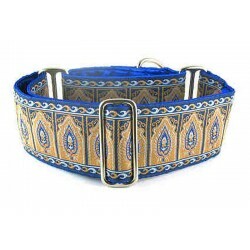 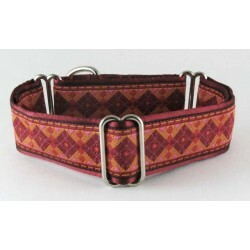 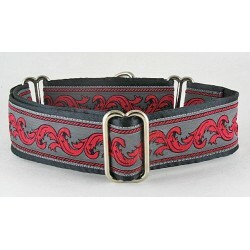 Chamayo martingale or snap-buckle dog collar featuring a southwestern geometric pattern in primary colors. 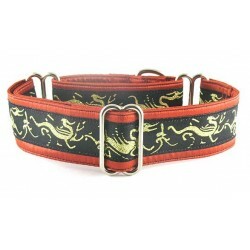 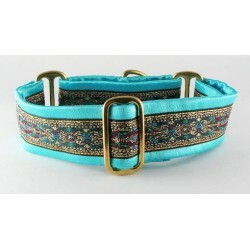 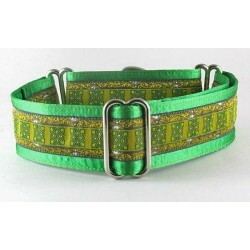 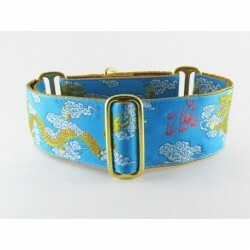 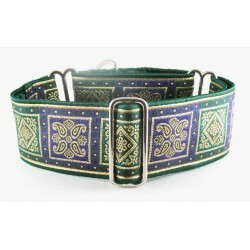 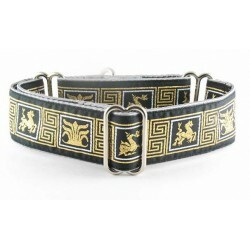 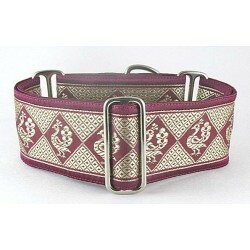 Dragon Treasure martingale or snap-relase buckle dog collar displaying a woven golden dragon on aqua.